MYRTLE BEACH, SC.-Nothing embodies the history and culture of the Lowcountry more than Gullah traditions, and the Franklin G. Burroughs-Simeon B. Chapin Art Museum will highlight them in A Gullah Culture Celebration, a Free Family Day to be held from 11 a.m. to 3 p.m. Saturday, May 5. The event is sponsored by the State Budget and Control Board, Sen. Luke Rankin. Gullah is the name given to descendants of former slaves of West African descent who settled in the coastal regions of South Carolina, Georgia and Florida, and their cultural traditions. The term is often used interchangeably with the name Geechee. A Gullah Culture Celebration includes music, art, dance and, of course, food – both to sample and for purchase to enjoy later at home. All activities at the event, other than purchased items, are free. Inside, on the Museum’s Tea Porch, visitors will get a chance to sample watermelon tea, made from a recipe in Gantt and Davis’ cookbook, sweet potato pone and other goodies. At various locations within the Museum, a wealth of educational activities will be available for visitors of all ages. Two videos on Gullah culture will run throughout the day: God’s Gonna Trouble the Water and Gullah Traditions: Fe De Chillun. Among the highlights of the day will be the presentation of the award-winning PBS documentary, “Saving Sandy Island,” scheduled for 11:15 a.m., followed by a talk by the film’s author and producer Betsy Newman. Veronica Davis Gerald, assistant professor of English and journalism at Coastal Carolina University, will talk on Gullah language and stories. Ron Daise, Vice President of Creative Education at Brookgreen Gardens, will present a talk on De Nyew Testament, a recently published translation of the New Testament into the Gullah Language. Family workshops will teach adults and children to create African-inspired animal masks, fans and rain sticks. 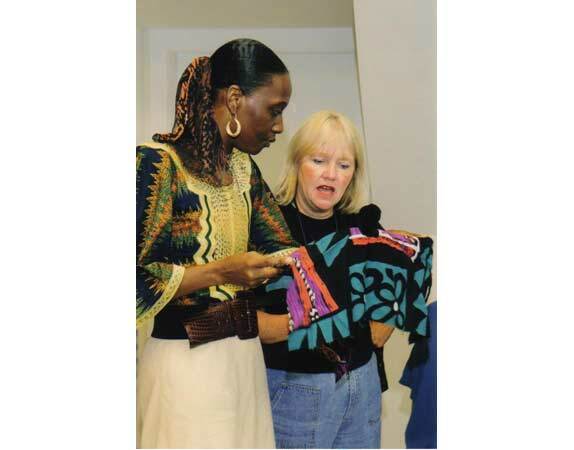 Gullah dollmaking will be demonstrated by The Gullah Ooman Shop of Pawleys Island. Master dollmaker Zenobia Washington will also lead a workshop; space is limited for this workshop and advance reservations are required. Other demonstrations include sweetgrass basket making with Vera Manigault and hammock making with Willie Dereef, Jr.
Face painting for the small fry will be available throughout the day, along with displays of Gullah literature from the Socastee Library. Admission to the Museum is free, but donations are welcomed. For further information, call 843-238-2510 or visit www.MyrtleBeachArtMuseum.org.